On Monday, the US space agency’s OSIRIS-REx spacecraft arrived at a nearby asteroid that’s of great importance to scientists: it might have answers about what early Earth was like, but there’s a decent chance it might hit us, too. The spacecraft will grab a sample and study the rock before coming home. While most asteroids orbit between Mars and Jupiter in a band of space that's been dubbed the Asteroid Belt, Bennu is somewhat closer to Earth. NASA scientists think the 484-meter-wide rock was once part of a much larger asteroid, which Space.com suggests was as large as the US state of Connecticut (which is 110 miles wide and 70 miles long), that was blown apart by some colossal collision a billion years ago. Now Bennu is slowly spiraling towards the sun, a trajectory that will bring it through Earth's part of the solar system. NASA's Jet Propulsion Laboratory gives Bennu a cumulative 1-in-2,700 chance of impacting Earth between 2175 and 2199. The OSIRIS-REx mission is designed, in part, to determine the reality of this danger and help us prepare to prevent such a catastrophe before it occurs. That's why NASA has spent $800 million on the Origins, Spectral Interpretation, Resource Identification, Security, Regolith Explorer (OSIRIS-REx) program, launching a spacecraft to the space rock for an up-close-and-personal inspection of Bennu. That spacecraft arrived there on December 3, at roughly noon EST. A fun, interactive program on NASA's OSIRIS-REx page takes you through the stages of the spacecraft's mission. The 4,560-pound spacecraft was launched atop an Atlas V rocket from Cape Canaveral, Florida, on September 8, 2016. OSIRIS took a trip around the sun before coming back past Earth again, using Earth's gravity as a slingshot to give it the extra speed it needed to get to Bennu. Bennu rockets around the sun at 63,000 mph, a bit slower than the Earth's orbital speed, so the craft has been approaching it slowly. ​"OSIRIS-REx seeks answers to the questions that are central to the human experience: Where did we come from? What is our destiny?" reads NASA's page about the mission objectives. "Asteroids, the leftover debris from the solar system formation process, can answer these questions and teach us about the history of the sun and planets." 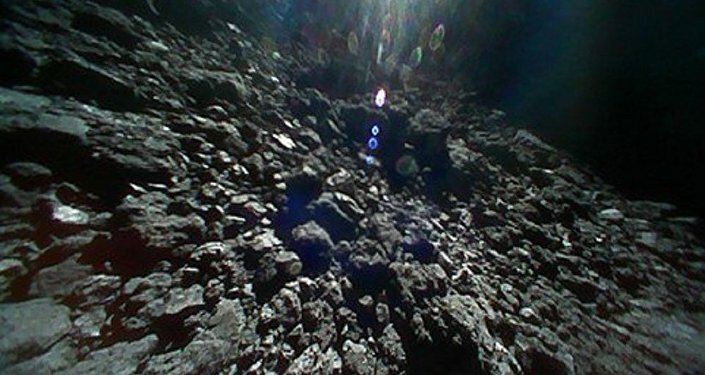 The agency describes Bennu as "a carbonaceous asteroid whose regolith may record the earliest history of our solar system. Bennu may contain the molecular precursors to the origin of life and the Earth's oceans. Bennu is also one of the most potentially hazardous asteroids, as it has a relatively high probability of impacting the Earth late in the 22nd century." Arriving at Bennu December 3, OSIRIS-REx will slowly map the surface of the asteroid and analyze its movement and orbital path from an altitude of about 30 meters. This will help scientists understand how much of a danger the asteroid presents to Earth and to draw up potential plans for diverting or deflecting Bennu if it is determined to be on a path for impact with the Earth. "Now that we've arrived, we will explore [Bennu's] surface through a series of flybys and orbital campaigns that allow us to determine which areas on Bennu are the safest and have material that can be ingested by our sampling mechanism," Daniella DellaGiustina of the University of Arizona told Sky and Telescope. "We'll do this first globally, and from there prioritize two candidate sample sites. We'll then examine those two sites at even higher resolution." The craft will obtain somewhere between 2 ounces and 4.4 pounds of soil sample from the surface of Bennu using a robotic arm that will blast the surface with a puff of nitrogen gas and collect the pieces that fly off. 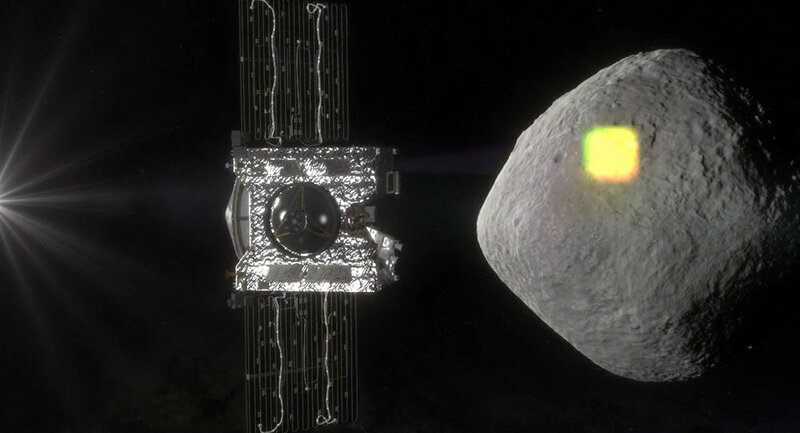 By 2021, the window for OSIRIS-REx's slow return to Earth will open, and it'll set itself on a path that will bring it by the the third planet in September 2023. However, OSIRIS isn't returning to Earth, it's just dropping off its precious cargo. After jettisoning the sample, OSIRIS will redirect itself on a new course, this time entering a stable orbit around the sun. Meanwhile, the sample will plummet back down to Earth in what looks like a tiny Apollo capsule, landing somewhere in the Utah desert to be collected by curious NASA scientists.